When driving, it can be easy to get lost in thought or focus on what is playing on the radio. Negligent driving is a serious matter, however, Even looking away from the road for an instant can lead to an accident. All drivers must remain aware of what’s going on around them at all times. On June 9, the Worcester Police Department received information about a two-vehicle accident. The call was reported to police around 5 in the evening, and emergency responders were sent to the scene and arrived shortly. The accident occurred on the 100 block of Front Street. Once arriving at the scene, first responders took statements and secured the area. One individual sustained injuries in the collision, and they were transported to a nearby hospital. The extent of their injuries is still under review. However, no fatalities were reported. A car accident can lead to victims sustaining serious injuries. More than one person can be injured in a car accident, and the impacts of some accidents can be quite harrowing. All drivers must remember that reckless driving can lead to a wreck and that they have a duty to drive safely at all times. 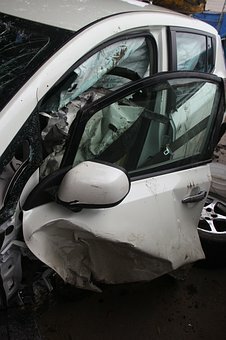 We at the Law Offices of Jeffrey S. Glassman are highly conscious of the potential consequences of car accidents as we often help victims who are suffering from injuries. We are committed to raising awareness about the importance of following the rules of the road. However, we know that accidents sometimes happen, so we are also here to help victims get help and compensation so they can return to their lives.